The rebirth or Ellwood’s Cafe inside of Ellwood Thompson’s isn’t the only thing happening inside Carytown’s favorite local grocer. 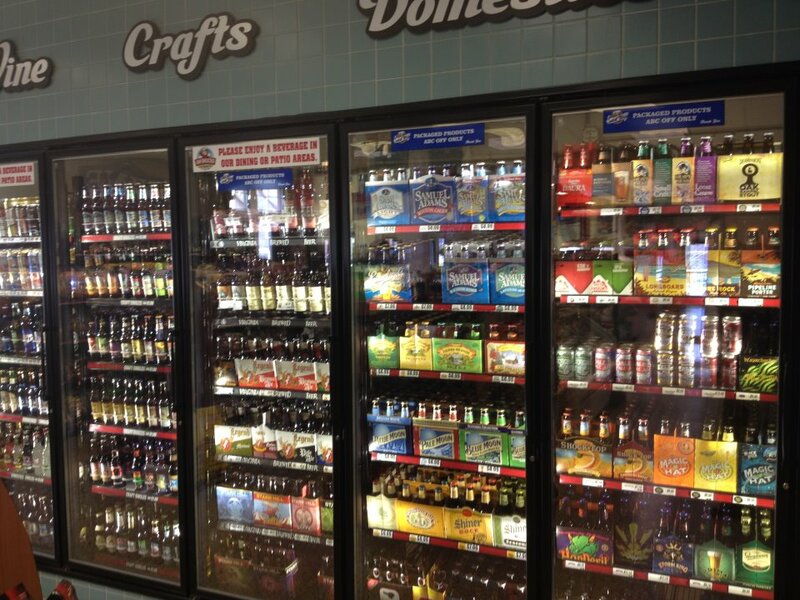 Take a look at their new beer cooler. Doesn’t it look amazing?! 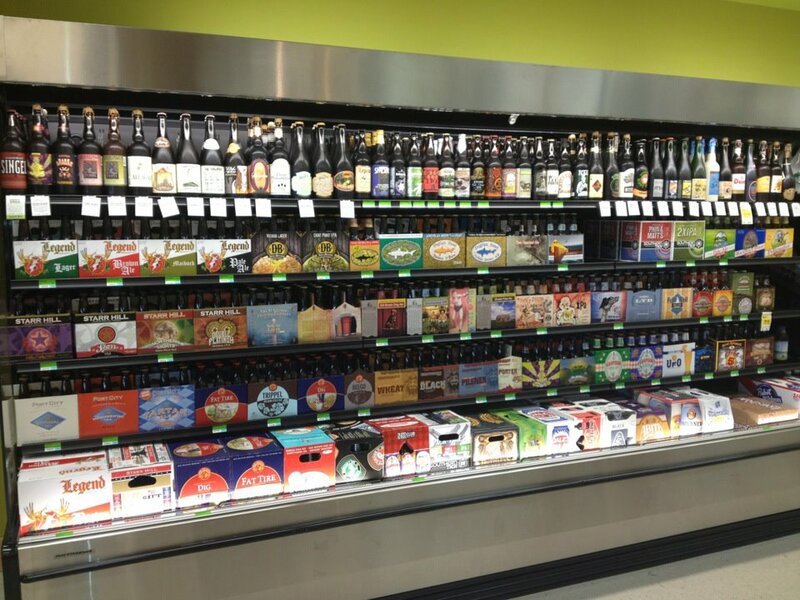 Admit it, you want to go buy some beer right now. Best of all, this is in addition to the cooler in the back of the store. Welcome AW Shucks Country Store to the growing number of places where you can find craft beer in the greater Richmond area. You will find beer in packs, singles, as well as draft. Be on the look out for a selection from Virginia breweries at their “Virginia door.” Friday, March 23rd, AW Shucks will be tasting Devil’s Backbone Belgian Congo, the brewery’s brand new Belgian pale ale, from 6 – 8pm.